A source for an interpretive approach to understanding information systems in organizations to aid readers in their own processes of defining computer systems. Examines 4 major IS issues: strategy, evaluation, design and development, implementation. Explore how information systems are used in business and how the role of information systems has grown as a result of the telecommunications revolution. Author Patrick McKeown links the foundations of information systems to the demands of e-commerce. In this book, you will be introduced to the concept of information systems, their use in business, and the larger impact they have on our world. This is an introductory text, meant for those with little or no experience with information systems. The book describes the changing risk environment and why a fresh approach to information security is needed. This compact book discusses business risk from a broader perspective, including privacy and regulatory considerations. This guide provides an introduction to Business Intelligence (BI) initiatives from the practitioner's perspective. Key critical success factors identified in BI projects are then analyzed by senior BI experts and in context of their rich experience. A practical guide for senior managers who are looking to improve their success in delivering projects and realizing clear business benefits. The book is based on the experience of its author and the feedback from hundreds of IT Leaders. This book will give you the knowledge you need to create high quality IT strategy, aligned to the business goals of your organization. We answer the questions that many IT professionals have, and how to use it to deliver exceptional results. 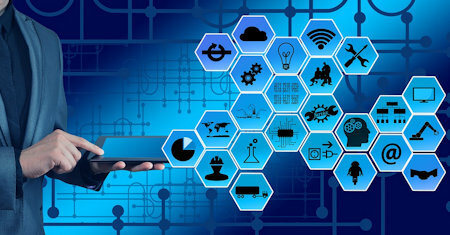 In an ever-changing and dynamic world, the advent and adoption of Information and Communication Technologies (ICTs) across the globe has permanently altered the rules of the game and expectations of the new digital and inter-connected economies. The book is designed to help students get a feel for what a career in Management Information Systems would be like. The authors designed this book that looks like an internship -- an introduction to the field followed by a substantial project. Information management is vital for today's businesses. It supports critical business processes. The aim of this free book is to assist managers in becoming knowledgeable decision makers in the field of information management and analysis. Written for managers who have an interest in expanding their approach to public engagement. The book assesses the value that new communications and computing technology can bring to interactions with a range of potential stakeholders. In this book Kelly tries to encapsulate the characteristics of the new economic order by laying out 10 rules for how the wired world operates. The result is a thought-provoking look at the behavior of networks and their effect on our economic lives. The book describes how to design, operate and manage warehouse facilities. The authors emphasize the computer models of the economics of the management of space and labor. They give managers the tools to make their operations successful. The book explains how technology professionals can supercharge their careers. It provides a recipe for technology professionals to raise above the commodity crowd and become remarkable. This book is crucial for IT professionals who want to succeed.